Posted October 27, 2017 by admin & filed under Uncategorized. The experience of having your vehicle stolen is one of the most frustrating and upsetting ordeals you can go through as a car owner. Even if it’s recovered, there are almost always repairs to be done, mountains of paperwork to file and insurance companies to fight with. Fortunately, there are a few steps you can take to reduce the risk of having your car, and its contents, stolen. 1 – Never leave your keys in your vehicle. Never. This includes starting your car to warm it up and going back inside – even if your vehicle is within eyeshot there could still be a thief lurking nearby, ready to pounce. 2 – If you have a removable stereo, be sure to take it out EVERY time you park. You should also refrain from advertising the fact that you have any special audio equipment on board by placing stickers anywhere on your vehicle. 3 – Keep any valuables you have on board out of sight. Ideally you shouldn’t have anything of value in your car while you’re not there but if you do, make sure thieves can’t see them. 4 – Invest in a thievery deterrent such as “The Club” or a “Lo-Jack”. These tools you CAN advertise with stickers! Likewise, if your car has an alarm system, make sure that it’s been activated every time you park. 5 – When selecting a parking spot, always go for one in a well-lit, high-traffic area. Keep your windows, doors and sunroof closed/locked. Turn your wheels towards the curb before you lock your steering wheel to prevent well-equipped thieves from towing your car to their chop shop. 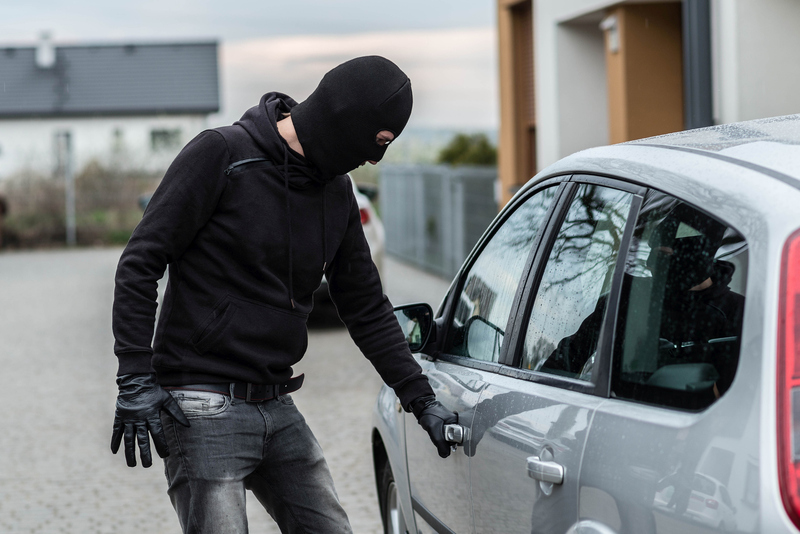 Follow these steps and you’ll greatly reduce the odds your car will be stolen!